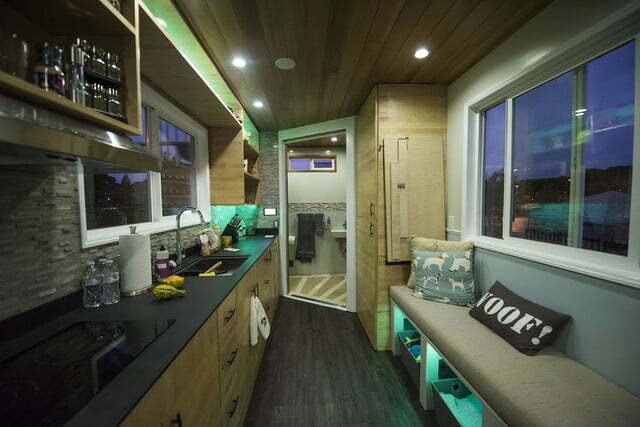 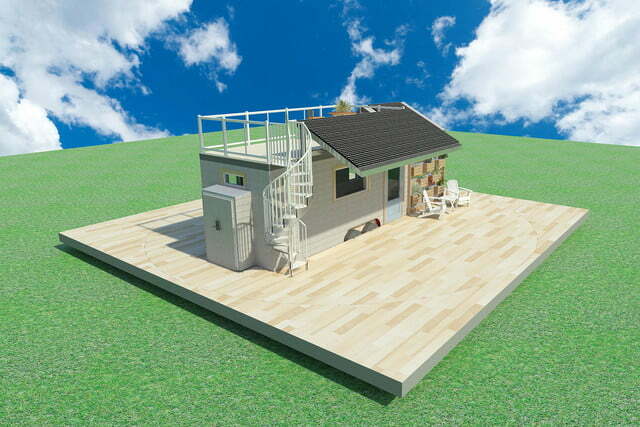 As the tiny home craze continues to sweep the country, an energy education specialist in Sacramento, California, decided to strike while the iron is hot, creating and running an innovative new tiny home competition. 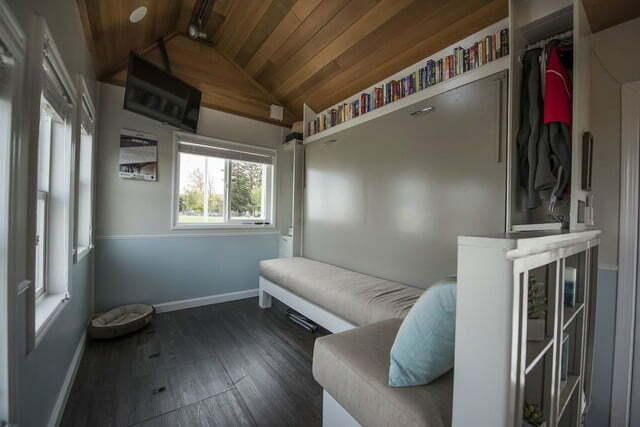 The brainchild of Suzette Bienvenue (our energy education specialist) but officially organized by the Sacramento Municipal Utility District (SMUD), the Tiny House Competition pits universities and colleges located in California against one another to design and build, you guessed it, tiny homes. 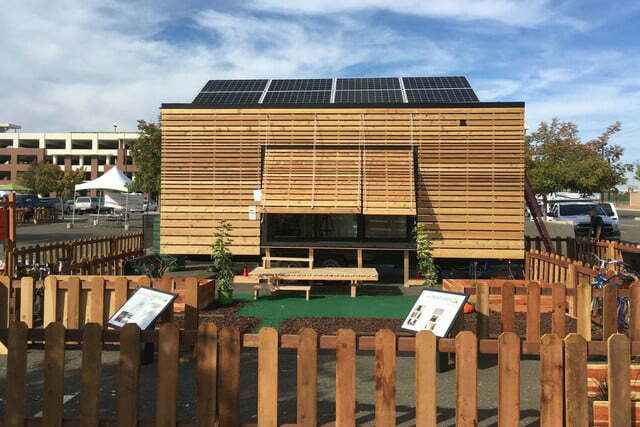 After issuing a call for participants in 2014, the inaugural event went off without a hitch in mid-October, proving to be much more popular than the committee had anticipated. 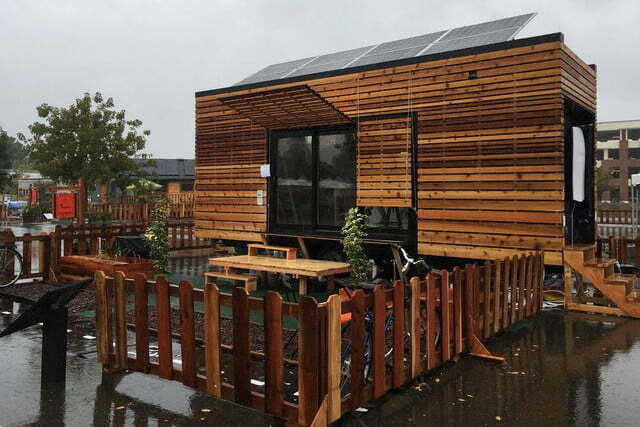 Expecting a meager crowd of around 3,000 or so attendees, the new competition drew an audience of a staggering 20,000 people. 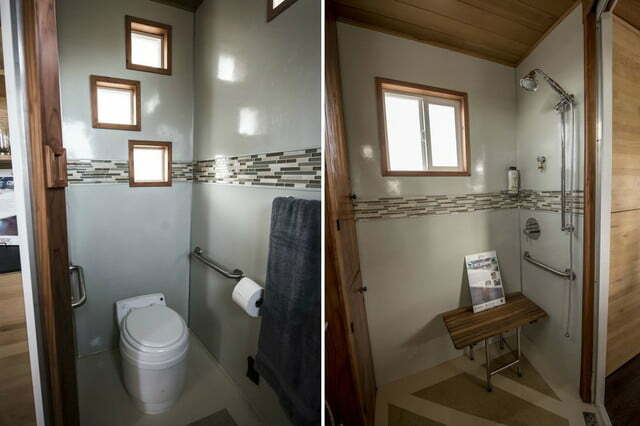 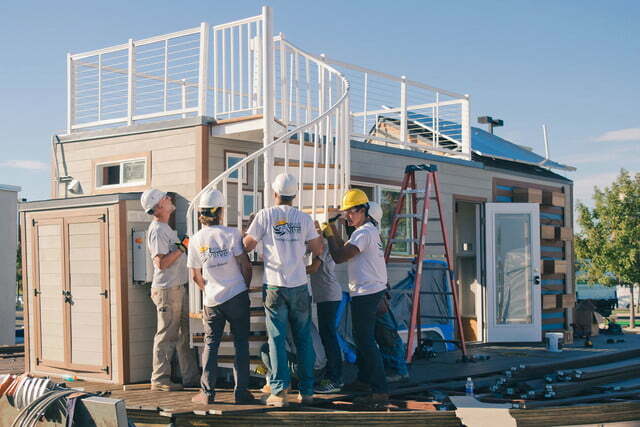 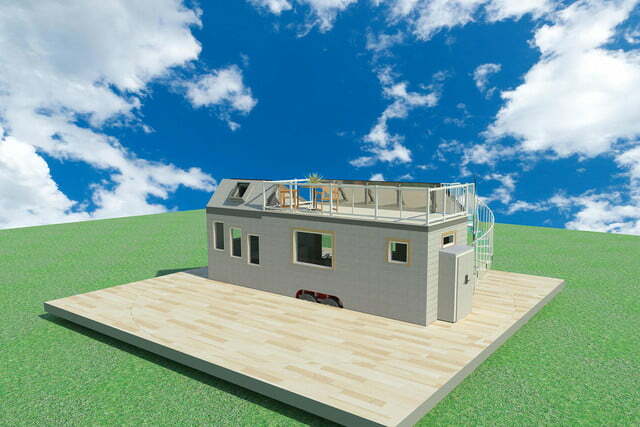 An offshoot of the U.S. Department of Energy’s Solar Decathlon — in which participants are challenged with building the most energy-efficient, solar-powered home — SMUD’s Tiny House Competition also tasked those competing with not only building a small home but a zero net energy, solar-powered entry. 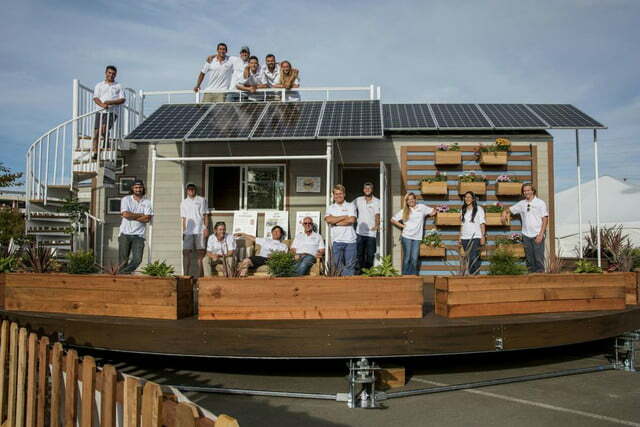 Taking home the competition’s symbolic gold medal was an entry from Santa Clara University dubbed the rEvolve House. 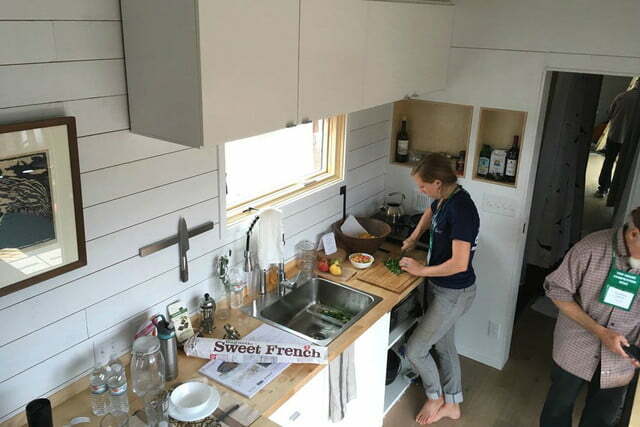 Sitting at a mere 238 square feet, the rEvolve House is, as expected, designed as an off-grid-style home, developed with the intention of serving as an inexpensive, short-term residence. 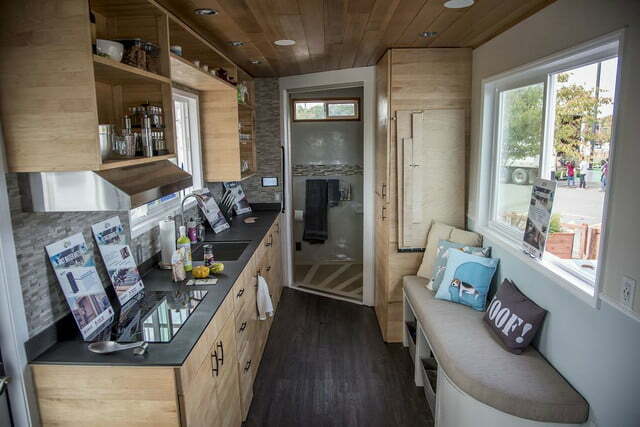 Manufactured for an area nonprofit named Operation Freedom Paws — a firm that pairs potential service dogs with veterans — the interior of the home boasts a foldable dinner table, built-in shelves, Murphy bed-style sleeping area, and 35-square-foot wet bathroom with a dry-flush toilet. 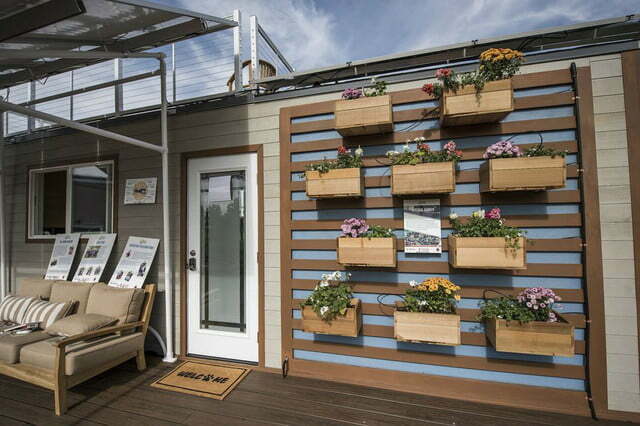 Outside, the rEvolve House features an accessible deck on its roof, structural insulated panels, and eight 330w Sunmodule solar panels which power the entire space. 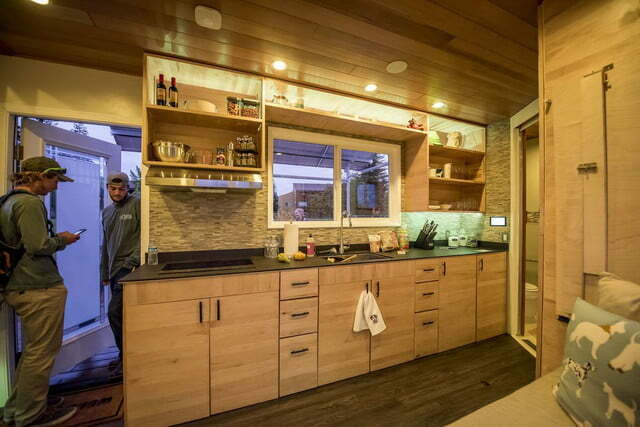 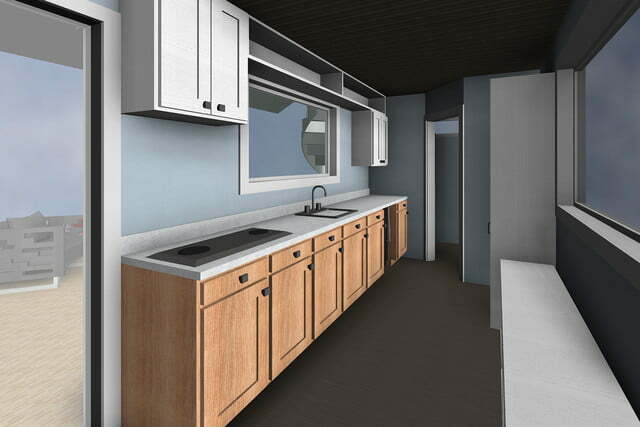 In addition to it nabbing the top overall award, Santa Clara University’s entry also took home “Best Kitchen Design” and “Best Integrated Lighting,” along with six other awards. 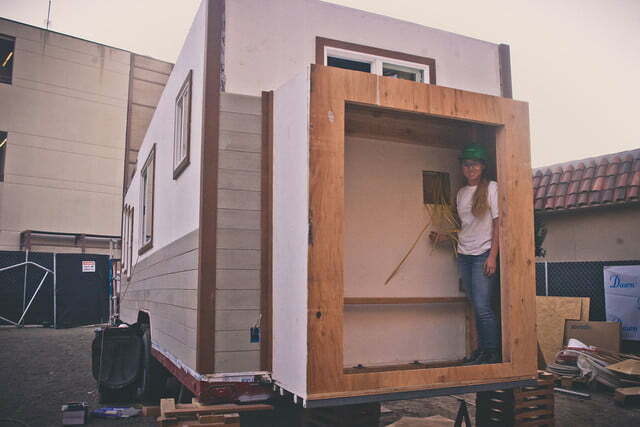 Other winners at the competition included University of California, Berkeley’s Tiny House in My Backyard which nabbed “Water Conservation” and “Best Craftsmanship” awards while being notably outfit with a Tesla Powerwall battery. 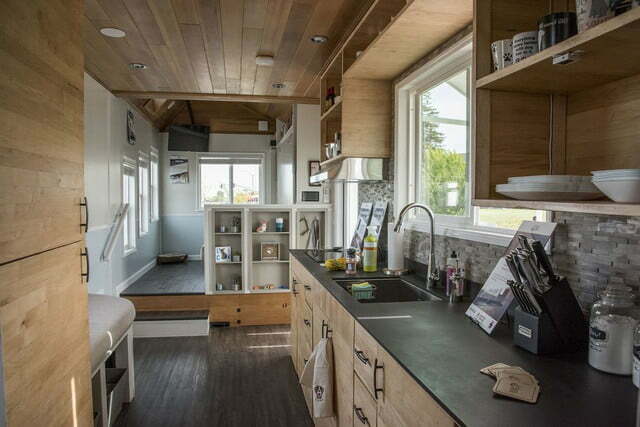 An extremely innovative and revolutionary event, it’s a near certainty the Tiny House Competition won’t serve as the only iteration of Bienvenue’s vision. 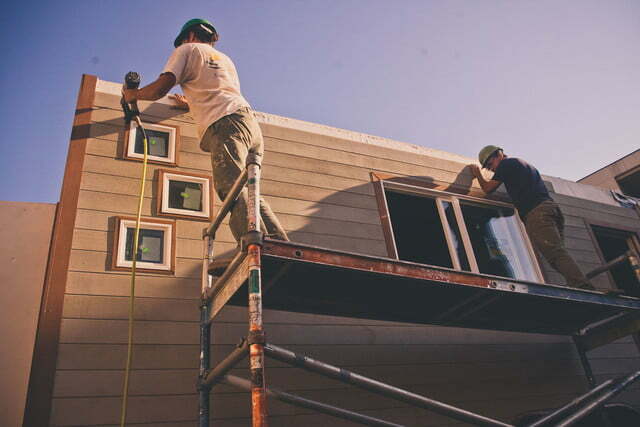 Considering the popularity of its first go-round, the iron doesn’t appear likely to lose its heat anytime soon.